Online archives, galleries, and libraries offer Vegas-sized buffets for the senses (well two of them, anyway). All the art and photography your eyes can take in, all the music and spoken word recordings your ears can handle. But perhaps you’re still missing something? “Geordies banging spoons” maybe? Or “Tawang lamas blowing conch shell trumpets… Tongan tribesmen playing nose flutes…,” the sound of “the Assamese woodworm feasting on a window frame in the dead of night”? But that’s not all, oh no! The complete archive, titled simply and authoritatively “Sounds,” also houses recordings of accents and dialects, environment and nature, pop music, “sound maps,” oral history, classical music, sound recording history, and arts, literature, and performance (such as J.R.R. Tolkien’s short discourse on “Wireless,” animated in the video below). The 80,000 recordings available to stream online represent just a selection of the British Library’s “extensive collections of unique sound recordings,” but what a selection it is. In the short video at the top of the post, The Wire Magazine takes us on a mini-tour of the physical archive’s meticulous digitization methods. As with all such wide-ranging collections, it’s difficult to know where to begin. The category called "Sound Maps" organizes a diversity of recordings---including regional accents, interviews with Holocaust survivors, wildlife sounds, and Ugandan folk music---by reference to their locations on Google maps. Not all of the material in “Sounds” is sound-based. 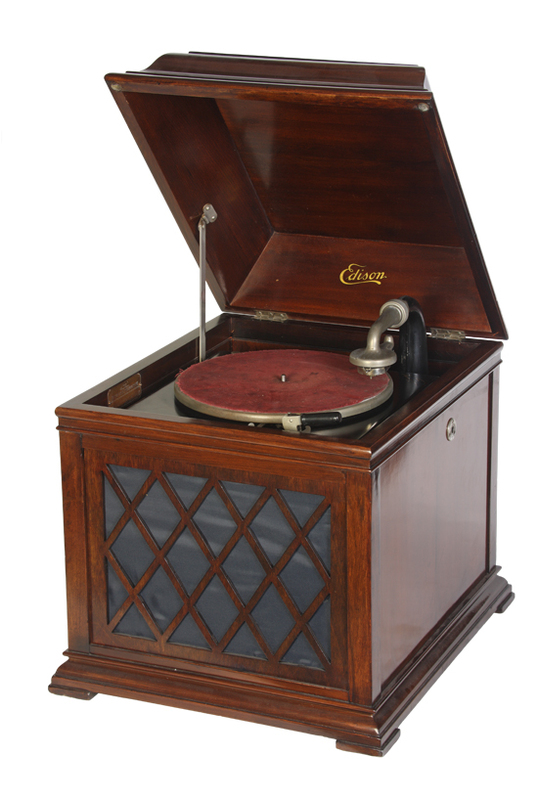 Recording and audio geeks and historians will appreciate the large collection of “Playback & Recording Equipment” photographs (such as the 1912 Edison Disc Phonograph, above ), spanning the years 1877 to 1992. Also, many of the recordings---such as the wonderful first version of “Dirty Old Town” by Alan Lomax and the Ramblers, with Ewan MacColl and Peggy Seeger (below)---feature album covers, front and back, as well as disc labels. The recordings in the Archive are unfortunately not downloadable (unless you are a licensed member of a UK HE/FE institution), but you can stream them all online and share any of them on your favorite social media platform. Perhaps the British Library will extend download privileges to all users in the future. For now, browsing through the sheer volume and variety of sounds in the archive should be enough to keep you busy. Has somebody hacked a better interface for their stuff ? Is it possible to do so ? It looks amazing, but this is the worst sound content exploration I have ever seen. Or I have not understood how to explore it. Just a random player so I can hit play and skip would be amazing. I mean come on they need to add a play all button to all their pages. I’m willing to figure out something if anybody is interested to help. I cannot access any of the samples due to this. There should be an easier way to experience these recordings. How does one who is not currently an academic or indeed even in the United Kingdom get to hear any of this material? I work for a public library in the United States and I feel this material would be enriching for virtually anyone to hear.